The researchers were kind enough to allow us to share their presentation with you. Please respect their intellectual property. 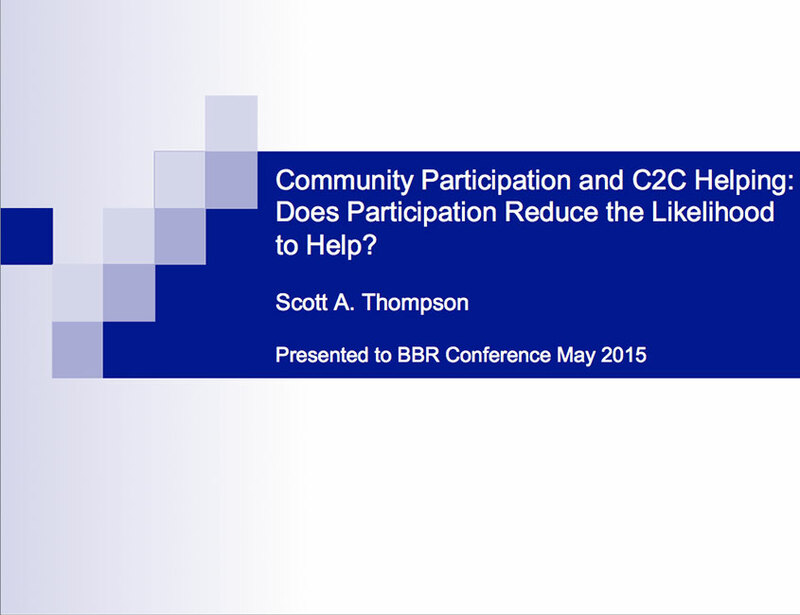 Community Participation and C2C Helping: Does Participation Reduce the Likelihood to Help?